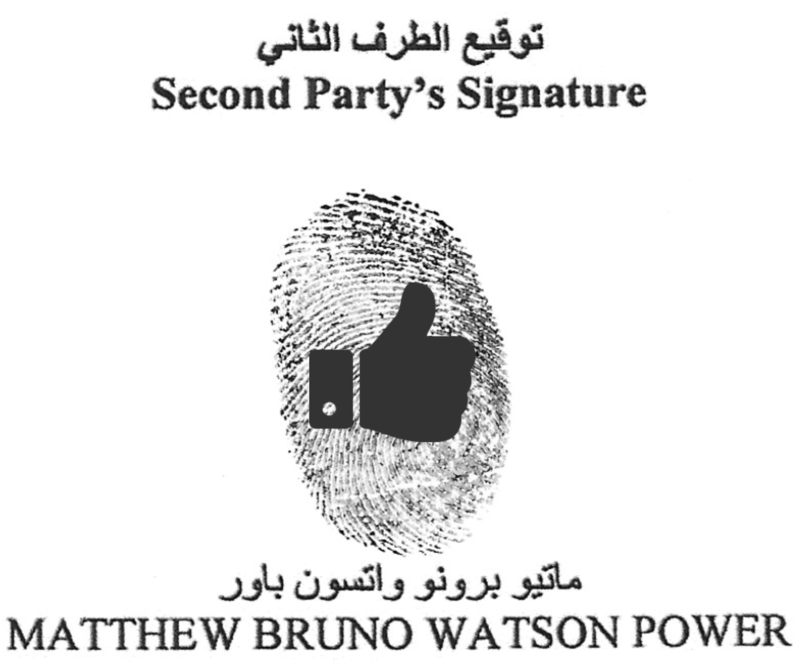 I’ve never had to sign a document with my thumb print before. It’s a requirement of the United Arab Emirates Ministry of Human Resources & Emiratisation as part of my visa application process. low tech Biometric scanning. It seems the UAE is super hight tech and world leading in some areas (architecture would be a great example of this in particular) but from what I hear, behind the curve as far as administrative procedure goes. I think my name looks pretty cool in Arabic though.. at least I presume it’s my name.